When imagining what life looks like in Japan, everyone has their own idea of how things are, but what about reality? We are taking some time to interview one of Go! Go! 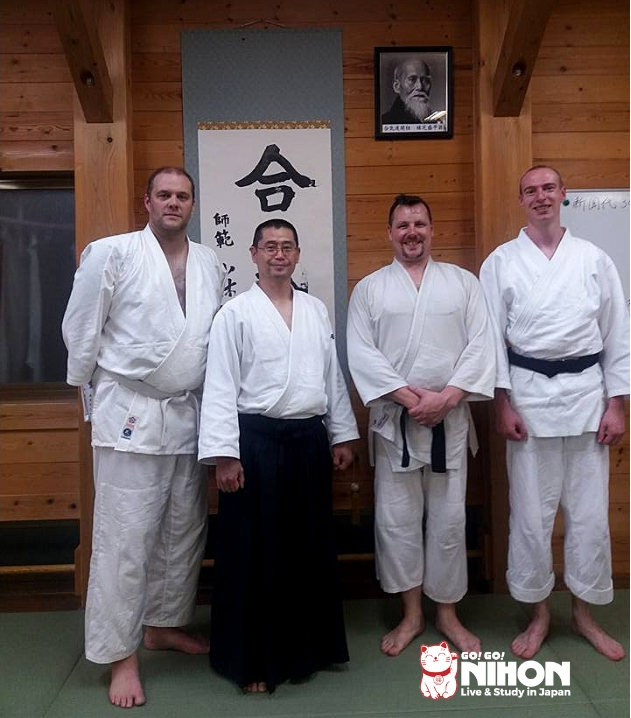 Nihon’s students, Matthew, who shares some insights with us about his life living, studying, and practicing the martial art aikido in Japan. Hi Matthew, please tell us about yourself. Where are you from? I’m a software engineer from the UK. My favourite things are trying new things, drinking with friends, and eating curry rice. I hadn’t left Europe before coming to Japan so you could say it was a big step. It also meant quitting my job, selling my stuff, and breaking up with my girlfriend. I don’t think she was enthusiastic about it. I got to Japan a little over 3 years ago, in October 2015. In the UK I kind of fell into a routine. I had a nice life, but I thought it’d be easy to spend the next 5-10 years doing the same thing week-in-week-out if I wasn’t careful. I mean, I liked it – I had friends, family and could save money – but it was definitely missing something. After I realized it, I felt like I had little choice, so I dropped everything and moved to Tokyo. The reason I chose Japan was because of martial arts – I’d been doing aikido for 10 years, as well as some unknown ones called iaido and jodo (not judo – in jodo you use a stick). They’re all Japanese so Japan was the easiest, most natural choice for me. Also I heard something about a restaurant that serves a giant gyoza and it’s free if you can finish it. Did you attend a language school? I went to Yoshida Institute of Japanese Language for my first 2 years. I started as a complete beginner (I had no idea about anything), then after 2 years I finished at JLPT N2 level. How was your experience at school? What did you like the most? It was the best. It wasn’t necessarily the school itself – after 9 months or so it’s difficult to approach school with the same enthusiasm as when you first started – but it’s the lifestyle that you can build around it. School hours were less than 4 hours a day, leaving so much extra time to be with friends, visit places or do random things. In those 2 years I made so many friends and memories, I’m really grateful for that. What was the biggest difficulty that you overcame during your student life in Japan? For me, the eternal struggle is with self-discipline. I enjoyed spending time with friends a lot, but I also wanted to be productive, actually study Japanese, and continue with my martial arts. I’m not sure that I ever really overcame this balance issue, but after a while I did move out of my first share house to find a quieter one with fewer distractions. Living in Japan is fun and exciting, but you have to be on your guard if you want to get anything done. I work as a software developer for a Japanese company that makes HR software. It’s a good job but the working hours can be long sometimes. You said that you like Aikido. Is it different practicing Aikido in Japan, compared to the UK? I practiced aikido for a while at two different dojos. Compared to the UK, they can be pretty formal. You have senpai-kohai relationships, everyone cleans everything thoroughly after training, and there are events to mark special days in the calendar like the first training of the New Year. Depending on where you train, there are also many people from abroad who come to visit the dojo and train, so you meet a lot of people. In the West, dojos tend to be a little more relaxed and more like any other club. The actual martial arts practice remains the same, but the atmosphere is different. 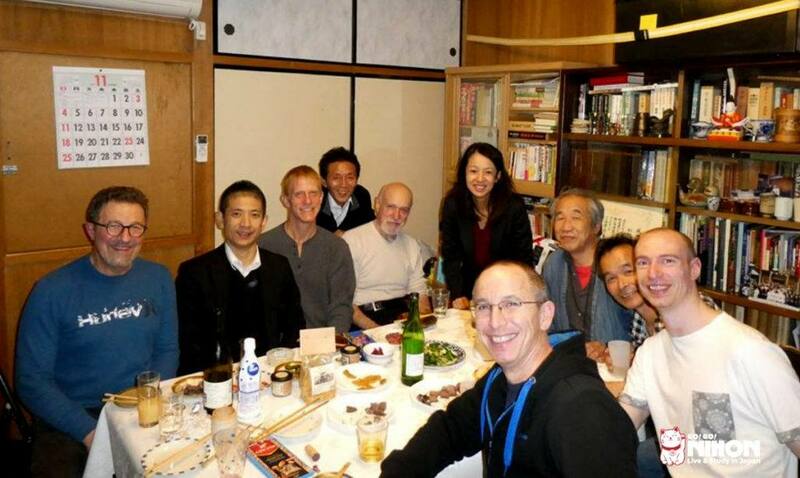 How would you describe your Aikido teacher(s) in Japan? The personalities of the martial arts teachers I’ve found here vary as much as they do anywhere else, but if I were to say something I’d say they tend to be a little stricter and your relationship to them is more specifically that of a student rather than a friend. I never got quite used to that part and it still feels a little weird. How did you manage to find a Dojo in Tokyo? The internet is your best friend to find dojos in Japan – membership rates for traditional martial arts are declining, so dojos are almost always happy to accept new students without an introduction. You might need a Japanese friend to help you searching online though. Would you recommend any Dojo in Tokyo? For dojos, the Aikikai Hombu dojo is in Shinjuku. It’s the headquarters for the main branch of aikido. I haven’t practiced there but it’s the biggest one, with many high ranked teachers. The equivalent for judo is the Kodokan next to Kasuga or Korakuen station – they have a beginners class there that I was enrolled in for a time. For anyone who’s interested in jodo, the best dojo in Tokyo is the Kobukan in Yoyogi. The website is all Japanese though. Did you make any Japanese friends over the years? Some of my best friends are Japanese. It was difficult at first because of the language, and it’s still difficult now because of how busy Japanese people can be, but once you make a couple of Japanese friends it opens the door to make a lot more. Recently I joined a futsal club with only Japanese people – if you want to make Japanese friends you could do a lot worse than joining a sports club. Have you traveled around Japan? I’ve been to Nagoya, Nagano, Kanazawa, Nozawa, and Nikkō, but not much further than that. The best one was Nozawa because you can visit the monkeys in hot springs. My favourite place is Shinjuku (I live there), because it has everything, except maybe enough nightlife. The best part about living there is not having to worry about the last train when going out. I’m not sure if the rent outweighs the saved taxi fees, but it’s good in theory. Do you recommend studying Japanese in Japan? 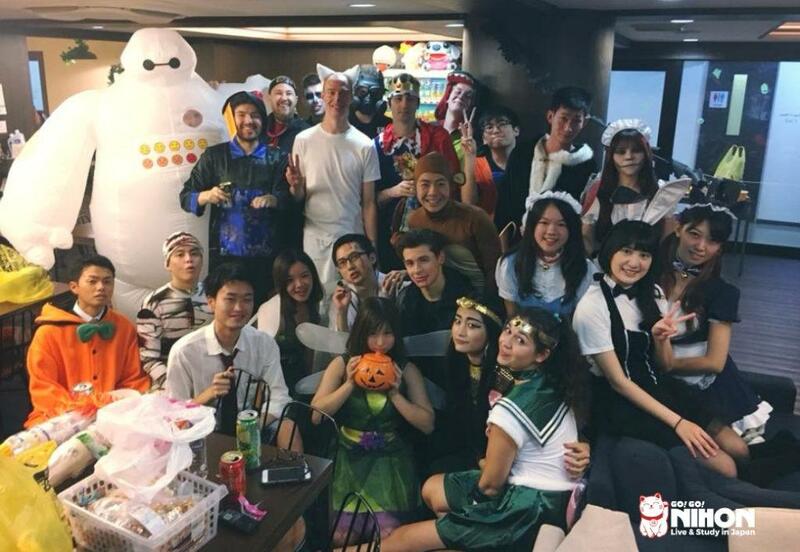 My time at language school was really a blast, and I don’t think I met a single person who regretted coming, even if they decided it wasn’t for them. And if you’ve already decided to learn Japanese, I don’t think there’s a better way than going to a language school. My only advice would be to plan what to do in case you want to stay afterwards – I’ve known a lot of people who’ve had to go back home after studying because of not having a university degree to get a working visa. Needless to say, those moments are the worst. What is, in your opinion, the biggest lesson you have learned after living and studying in Japan? I always thought it takes time to build a deep friendship, but some of the people I’ve met here I only knew for 3 months but they became some of my closest friends. It’s incredibly valuable to live somewhere with the possibility to meet so many people. Thanks a lot Matthew for sharing your experience with us. We wish you all the best of luck with your future endeavors in Japan!